Love shoes? 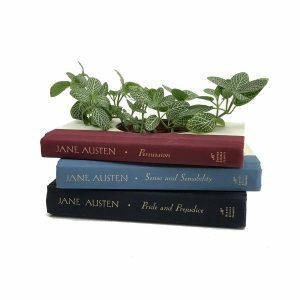 Then you will love this fun Shoe Addict Book Planter. This fun and festive book planter is a unique work of art! 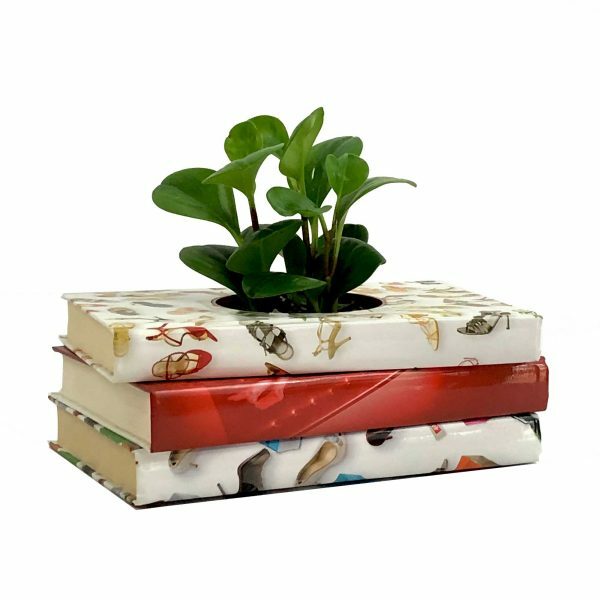 If you love shoes then you will definitely want this unique one-of-a-kind book planter. Crafted from books in the Shoe Addict series by Beth Harbison, and sandwiched between is a great mystery by Jonathan Kellerman in brilliant red that wonderfully complements the other books. 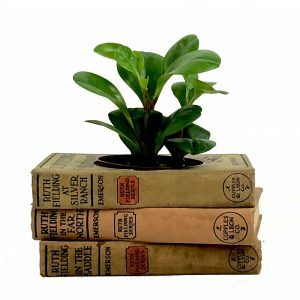 Fully functional and ready for your house plants, this book planter will brighten any room and makes a fantastic conversation piece. It’s truly a one of a kind item. Click here for more fun and stylish decor. 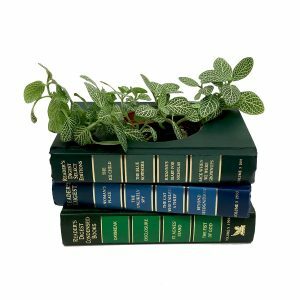 The book planter measures approximately 10″ x 7-1/4″ x 3-1/2” including the provided plastic pot. 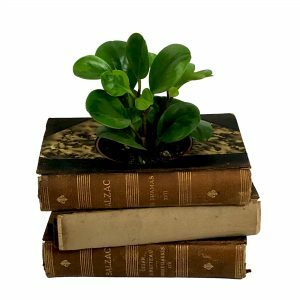 My Booklandia’s book planters are carefully handmade and designed for functional use as indoor planters. Each planter contains a built-in drip tray and the inside of the plant pot opening is lined with plastic and a basket liner. The cover of the topmost book is also treated with water repellent. Includes a 4″ plastic pot. Pictured plant is not included.